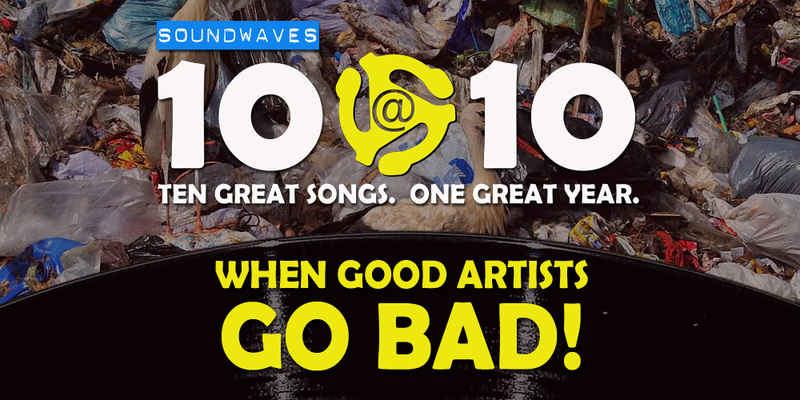 On today’s edition of Soundwaves 10@10, we’ll hear songs from iconic artists who all had one thing in common: they thought they were to the point in their careers where they could stretch, or experiment, or grow lazy — or worse, cover classic songs! From Madonna and Tom Jones, to Michael Jackson, Elvis and Styx, these are the moments when it all went wrong! This was a lot of fun. Michael Jackson had another epic mistake, as far as I’m concerned: The Girl Is Mine (the DOGGONED girl is mine.) Yeesh. It doesn’t count as a mistake for Paul McCartney because his taste is questionable anyway, IMO.